The likely sale of two closed, fuel oil- and coal-firing power facilities by Italy’s largest electricity provider, Enel, to Amazon Web Services for repurposing as cloud data center facilities — as discovered by Reuters Wednesday — appears to actually have been in the works for some time. The public utility has been aggressively attacking the urgent need for renewable power sources, not just for the environment’s sake, but also its customers’. By this time last year, Enel had closed some 23 non-renewable plants across Italy, according to the English-language news publication ItalyEurope24. At that time, it posed an open question as to what to do with these facilities, exploring ideas as wild as converting the old smokestacks into support structures for amusement park rides, planting restaurant terraces at the tops of these structures, and converting old generator facilities into shopping malls. Montalto di Castro — a beautiful province facing the Tyrrhenian Sea, just a two-hour drive northwest of Rome — was the site of a multi-fuel burning plant, including fossil fuel. It was built on the orders of the Italian government in 1989, after the country halted all nuclear power operations and ceased construction of new facilities. A new nuclear plant was already being constructed there. Enel had been operating the Alessandro Volta thermoelectric plant there, next to the partly constructed, never-used, Montalto di Castro nuclear plant. The most recent records available show that the Montalto plant generated some 3,600 MW of total power, mostly by way of fuel oil, but for a few hundred MW from gas turbine generators. In 2010, a report was issued citing the Volta plant for having produced some 1.06 million tons of CO2 emissions in 2009. 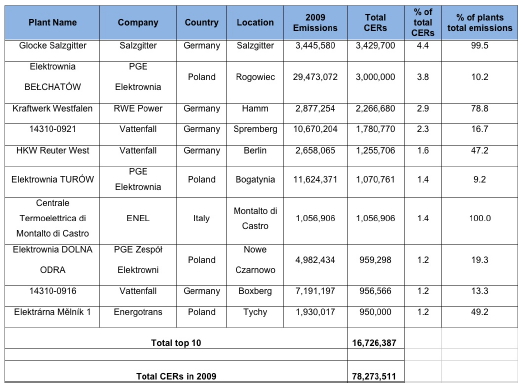 According to the Italian whistleblower publication Il Fatto Quotidiano, those incredible emissions were permitted by way of certified emission reduction (CER) credits granted to Enel, for sponsoring a China-based project to reduce CO2 emissions by the same amount. The “optics” of that deal, to borrow a phrase from presidential campaigns, was not good. Last May, Enel opted to shut down the plant. Under Italian law, it then published a call for tenders — a public contest for ideas about how it could repurpose the facility. Last July, the Italian news publication Corriere Della Sera reported that it had discovered Amazon AWS representatives had been visiting Montalto. Its sources said the company had also expressed interest in the Galileo Ferraris thermoelectric facility in Trino province, as well as one other facility. The imminence of a deal was underscored Tuesday, when Fabio Veronese, Enel’s head of infrastructure and technological services, was given a plum speaking slot during the keynote session at Amazon’s re:Invent 2016 conference in Las Vegas. There, he took credit for his entire industry having invented the cloud service model long before Amazon came onto the scene. Veronese called its previous customer servicing model “bimodal” in a “neurotic” sense, outsourcing for the Western hemisphere while operating on-premises services for the Eastern. It was able to discontinue its outsourcing operations, but was faced with the repurposing of some 10,000+ servers and 30,000 virtual CPUs, across 30 countries. Enel achieved this repurposing goal by June of this year, he said. But in an ironic turn of events that perhaps can’t be repeated for most other classes of companies, Amazon may be bringing Enel’s information assets back on-premises. Or, to be accurate, ex-premises.